Like the Mastiffs, Saint Bernards also win both categories in regards to size and sleep necessities. Fifteen or so hours a day can keep these couch potato dogs healthy and strong. However, it is important to note that being the sleepiest dog on the block can also be dangerous. 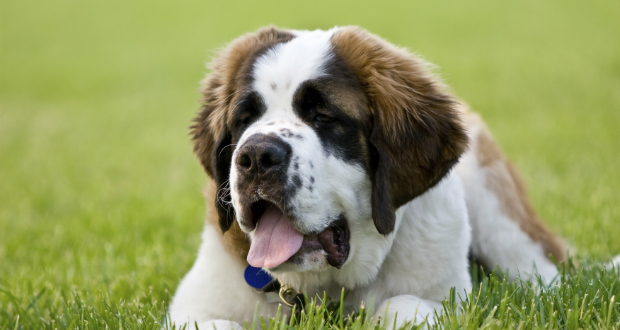 Saint Bernards have a tendency to develop or be born with the sleep disorder of narcolepsy. While not fatal, Saint Bernard owners should be on alert for strange and sudden sleepiness in their pets.